Red Dead Redemption 2 is a Western, action-adventure video game released last October for the Xbox One and PlayStation 4. The game is a prequel to 2010’s Red Dead Redemption, in the same genre as the second. 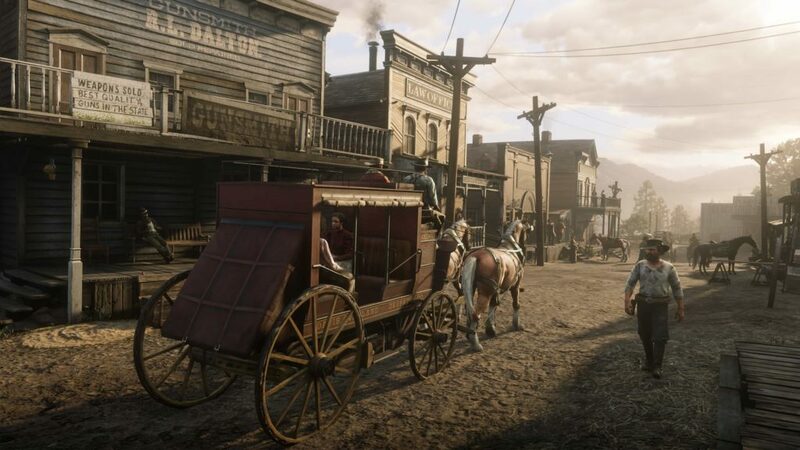 Created by Rockstar Games, the same company behind titles such as the Grand Theft Auto series, RDR2 had the second-biggest launch of any product in the history of entertainment, generating over US$725 million and selling over 23 million copies on its opening weekend. The game was praised by journalists and critics for its story and its music, and was nominated for Game of the Year at the Game Awards 2018. My opinion on the game comes from the 80-100 hours I have spent in the single-player. The story begins with the gang in the snowy mountains on wagon and horseback, fleeing the law after a botched heist. The first hours of the game take place in these mountains after the gang sets up camp in an abandoned mining town; here the player gets a good sense of the game’s characters, their personalities and motivations. Then the group moves south and encounters rival gangs, oil companies, detective agencies, Aboriginal tribes, the army and other wacky happenings in the untamed land that is the Old West. Having played the story in its entirety, I can say that it was an incredibly moving and cinematic experience, an amazing tale about struggle, hope and betrayal amidst comrades. Being a Rockstar Games open-world video game, the controls are a mirror image of its predecessor. However, RDR2 strives to implement new features and improvements on existing mechanics such as Arthur needing to eat and bathe to maintain his health and stamina regeneration. 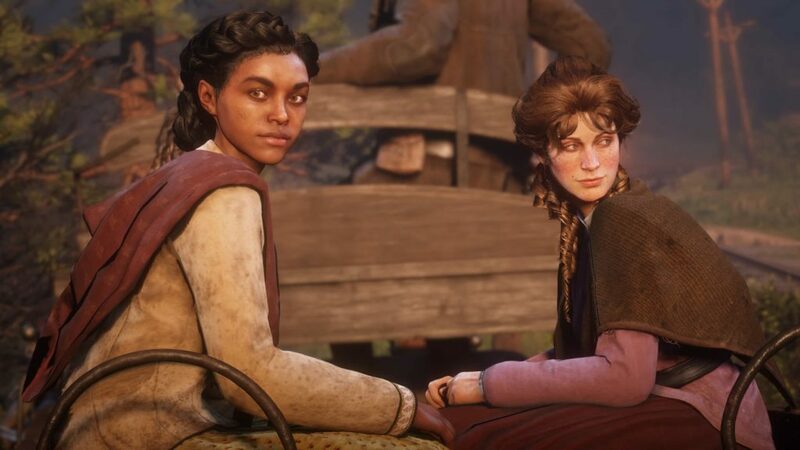 RDR2 also expands on the previous game’s dialogue feature, enabling players to respond to or provoke any person in the game. 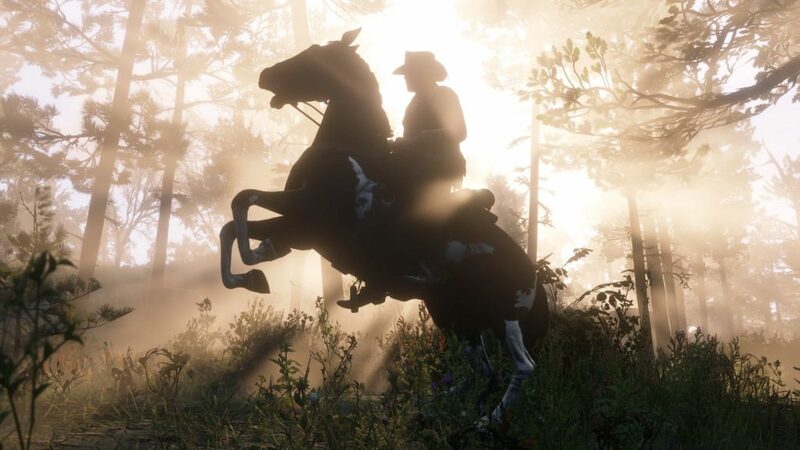 RDR2’s hunting features are overhauled, with the player needing to track the animal’s scent and tracks, use the correct weapons, and hit the vital organs in order to secure high-quality pelts and meats, which can be either sold for money or used for crafting upgrades or clothing for Arthur. The various camps that the Van Der Linde gang sets up during the story act as a hub for interactions with characters, mission starting points, crafting stations, and opportunities to change Arthur’s appearance. Exploration is a major part of the experience and as the player sees the sights of 19th-century America, they may encounter points of interest and intriguing characters. I welcomed the new features and embraced the fishing and exploration mechanics present in the game. My favourite new feature is Arthur’s journal that he uses to write or draw about his experiences. It allows the player to collect information for future use. Arthur is also quite good at drawing and has neat handwriting for a man who hasn’t had a day of formal education. For the first several hours of playing the game, I was convinced it was a live-action movie. The articulate attention to detail in the textures, the models and the animations create an incredible product. When Arthur draws his weapons, when he eats different types of food, when he cleans his horse, there is an animation for it. Overall, RDR2 is a triumph that demonstrates the technical capabilities of video games today. I recommend watching the gameplay trailers released prior to RDR2’s release so that you may get an idea of how immersed I was. To my surprise, there is a strong Aboriginal presence in RDR2 – I expected little as there wasn’t much in the first game. One of the best examples of this is the Wapiti, a fictitious Aboriginal tribe that have been mistreated and moved to an Indian reservation by the American government and oil companies. The Wapiti later become a major plot point through characters such as Rains Fall, the Wapiti Chief, and Eagle Flies, his hot-headed son. Both characters are voiced by accomplished Aboriginal voice actors – Graham Greene (a Oneida-Canadian actor who was in Dances with Wolves) as Rains Fall, and Navajo Jeremiah Bitsui, who starred in Breaking Bad, voices Eagle Flies. Another character, Charles Smith (voiced by Noshir Dalal), is half African American, half Native American. Charles is arguably the most honourable and most sympathetic member of the gang, although lethal and extremely strong. Charles teaches Arthur how to use a bow for hunting and how to track animals. As the game progresses, the player may embark on optional missions with Charles with the intent of assisting the Wapiti tribe rather than the Van Der Linde gang. RDR2 is more than just a video game. It is an experience that I will never forget. I will cherish every minute that I spent hunting animals, exploring the map, talking with people, shooting people, robbing people (sorry, mom! ), treasure hunting, fishing, looking in the journal and generally enjoying the game. Along with setting a new standard for video games, Red Dead Redemption 2 inputs social commentary on Aboriginal rights, land rights, environmental exploitation, and illustrates the struggles of Aboriginal people during colonization first-hand. This is a video game that The New York Times called “true art” and artistically on par with The Godfather in terms of storytelling against the backdrop of national and cultural identity.